Individuals having income more than Rs 2.5 lakh are mandatorily required to file income tax returns. March 31 is approaching. It is the last date for filing belated or revised income tax return for assessment years 2016-17 (financial year FY2015-16) and 2017-18 (FY2016-17). "Belated or revised returns for AY2016 and 2017-18 can only be filed up to March 31, 2018 (with interest, if any, for late filing)" the Income Tax Department said in a communication issued in newspapers. Individuals having income more than Rs 2.5 lakh are mandatorily required to file income tax returns, the tax department said. For senior citizens (age 60 years and up to 80), the limit is Rs 3 lakh and very senior citizens (age 80 years and more), the limit is Rs 5 lakh. "The taxpayers now need to be very cautious with respect to their tax filings as the deadlines have been substantially squeezed and also due to the imposition of a mandatory fee against initiation of penalty by the Income Tax Department. The tax department is trying to raise awareness among taxpayers and the onus is on them to comply and come clean and avoid the penal consequences," said Sandeep Sehgal, director of tax and regulatory at Ashok Maheshwary & Associates LLP. 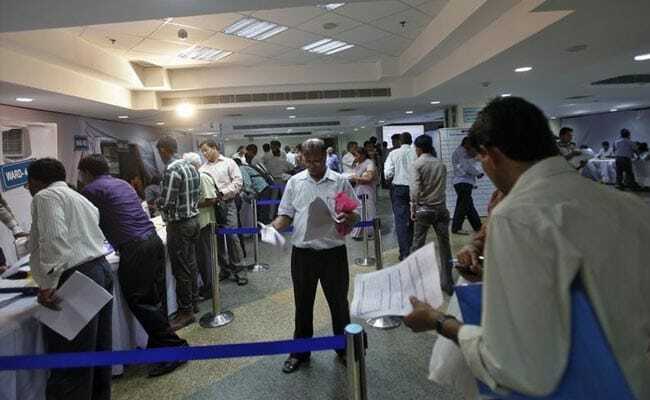 The Income Tax Department has also urged those who deposited "large amounts of cash" post demonetisation to file their returns by March 31, failing which they may face penalty and prosecution. "If you have deposited large amount s of cash in your bank account/made high value transactions, please consider the same while filing your income tax return," the tax department said in the same communication. Non-filing or incorrect filing of return of income may result in penalty and prosecution, the tax department said. Those looking at filing revised or belated return for assessment years 2016-17 and 2017-18 can log into the tax department's e-filing website (incometaxindiaefiling.gov.in) for filing their returns, the tax department said. For those filing belated return, remember that additional interest would apply under Section 234A of Income Tax Act, when you have outstanding tax liability. Interest will be levied at 1 per cent per month (simple interest). It would also attract a late fee of Rs 5,000 if the return if filed up to 31st December (which is already passed for FY 2016-17) and Rs 10,000, if filed after 31st December but up to 31st March. However, the late fee is restricted to Rs 1,000 if total income does not exceed Rs 5 lakh. After 31st March, 2018, original return for FY 2016-17 cannot be filed. However, if it has already been filed by 31st March, 2018, it can be revised up to 31st March, 2019. Further, this extended period for revision is not allowed for FY 2017-18 and onwards - time limit for filing as well as revision for FY 2017-18 is available only up to 31st March, 2019. If you file belated return, you may not be able to avail some tax benefits like carry forward of capital losses over next assessment years. Under tax rules, Long term capital loss' can be set off only against 'long term capital gains'. However, 'short term capital losses' are allowed to be set off against both 'long term capital gains' and 'short term capital gains'. Many taxpayers file tax returns just before the due date, ending up making mistakes while trying to catch up with the deadline. They can file a revised return. For filing a revised return online, the tax payer needs to log into the income tax department's e-filing website and then select the E-File tab and then chose click on Rectification. A revised return filed online must be verified.